I've had a fascination with audiophile music playback using a personal computer for years, and have explored everything from a simple USB connection to the internal soundcard, through soundcard bypassing, and several DACs, including Cambridge Audio DacMagic, Lite DAC-AH Modified, Styleaudio Carat-Peridot, and Schiit Modi. I've also experimented with ways to improve the audio signal through the USB port, including iFi Purifier and USB Disruptor. More recently, I have substituted a Ethernet network media player to avoid using the noisy USB ports. When I was offered a review sample of the Opus 5 DACT with its rather different design ethos, I was curious to see if its performance might tempt me back to a USB connection. 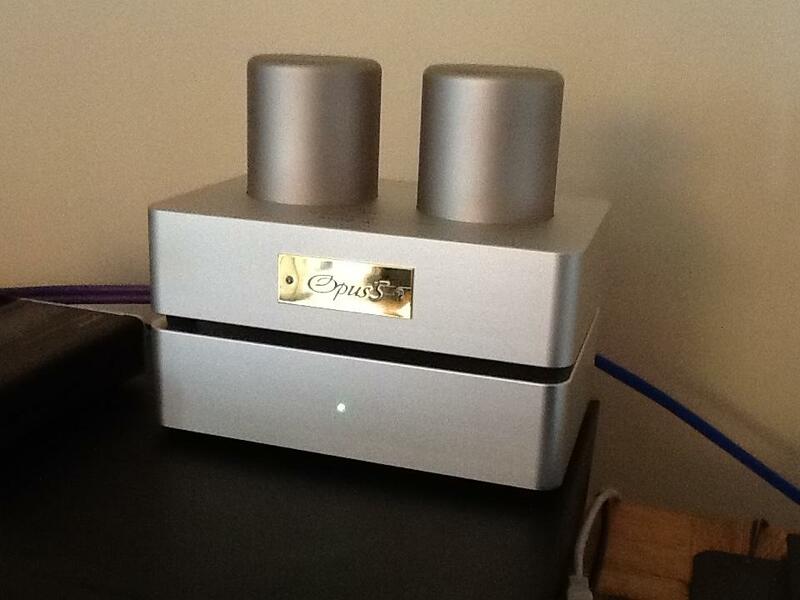 The Opus 5 is designed to enable owners to enjoy the true beauty of the super high end audio at a mid-level price. That was a proposition I had to check out. We've all heard that adage? That design follows function, whilst Apple's Steve Jobs believed from his childhood experiences that if you make something you must make it beautiful. Oddly, in a field where ultimately great sound quality is the goal, visual appeal seems to be exceptionally important, at least to designers, and we are apt to sometimes make more sizzle than the sausage, to dress up without substance. There's an old saying from my home Yorkshire; “all mouth, and no trousers”. 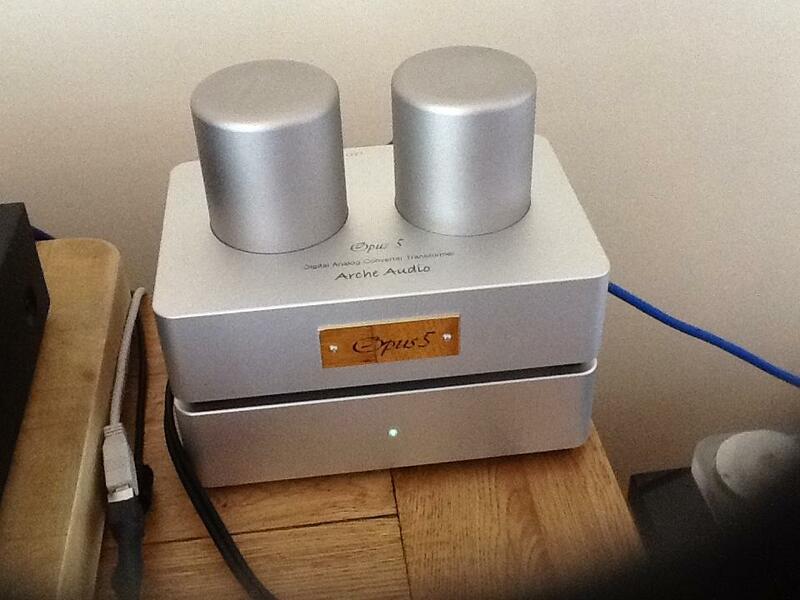 Yet, on opening the box, I was impressed - the Opus 5 and accompanying power supply unit are lovely to behold. With their substantially heavy metal body milled from a single piece of solid billet Aluminum and a smooth finish, each cold to the touch, the obviously unusual towers atop, and with high specification connectors, these machines just ooze quality. I'm not keen on the name plaque screwed to the front, though. The Arche Audio Opus 5 is the product of a design and development collaboration of Pyon Sound and Hyondae Sound Equipment in South Korea. The designers claim that this is the best sounding DAC delivering beautiful and ultra high-fidelity music which otherwise would be possible only with a $10K ~ $20K investment in digital hardware. Well, I can't judge that (for obvious reason) but I can give an account of my listening experience when my music files are played through this unit. The vendors describe the Opus 5 DACT (DAC Transformer) as a very unique USB DAC which has no opamp colourisation, a jitter-free analogue output, and completely isolated and constant-impedance output stage. What you get in the set is the DAC unit, an outboard power supply, and a 2.5 foot Silver USB cable (to connect between the main unit and the power supply). The DAC unit is 8" x 5" x 6" and the matching outboard power supply unit is 8" x 5" x 2.5". Total weight is 13 lbs. First I summarise the rather different design approach, then I'll comment on my listening experience. The Opus 5 is designed to reproduce music in the most natural sound with sweetest and “thickest” tonality from digital music files. The digital chip set was carefully selected for the transformer-coupled analogue output stage. The Opus 5 is truly plug-n-play for easy and simple installation. When it is connected to a music server or computer, it is automatically recognised without any software installation. Despite stellar technical specifications and long lists of convenient features, most USB DACs produce an artificial and sterile sound with thin and cold tonality. These sonic characteristics often unnaturally irritate and fatigue when rendering sound, discouraging extended music listening and limiting associated enjoyment. The design goal for the Opus 5 began with this diagnosis and a desire to create a USB DAC which can be listened to for hours without digital fatigue and which delivers “loveliness, warmth, sweetness, and emotional touch” from digital music files. Through extended listening test sessions the Texas Instruments PCM2706 chipset was selected for musicality. Technical specification was not the primary consideration, and although this chipset provides D-A conversion at only 16-bit at 48 kHz sampling, its sound is natural and warm with reasonable resolution. Secondly, the analogue output stage had to operate at the highest level. The company developed the custom-wound Nickel laminated core high-impedance 2:1 step-down line output transformer, specialised to process the analogue signal converted from digital data. This form can't reproduce the ‘stair steps'-shaped waves characteristic of quantization error distortion, so harshness is not presented. The benefits of this output transformer design are the most natural tone, realistic resolution, and constant output impedance to maintain the same tonality throughout the full frequency range. Thirdly, the complementary outboard power supply was created for purest electricity supply to the DAC. A digital filter transformer is included to purify the digital signal for better music reproduction. 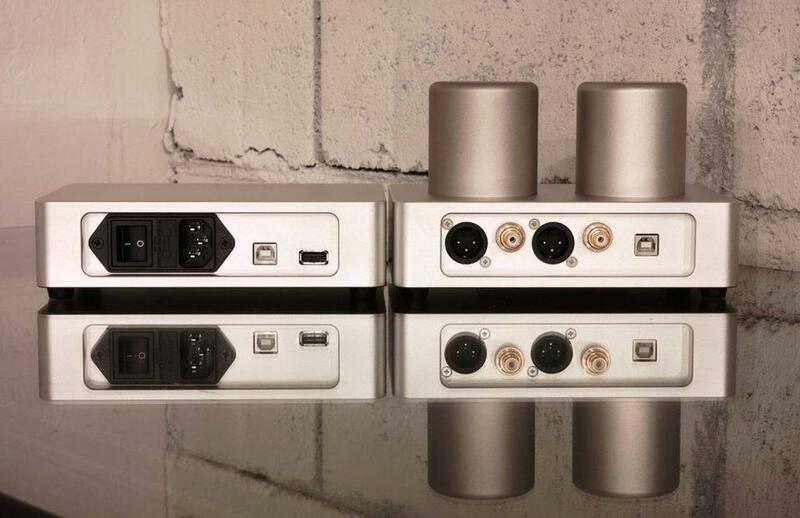 The outboard power supply is encased in a monolithic case which matches the DAC unit. The Opus 5 DACT uses two silver USB cables: one USB data-only cable and one USB cable. Both cables are made of 4N solid silver conductors and employ a proprietary multiple-crossing wiring topology, in which different gauges are used for data wires and power wires, respectively, to maximize the signal transfer and to minimize external noise interference. The South Korean manufacturer uses world-class chassis technology to maximize the performance of the Opus 5. The main body aluminum block ensures the highest rigidity. The best quality custom RCA jacks complete the high quality chassis. The finish of the Opus 5 is in two tone colours. The main body of the cases are coated in Silver anodized Duralumin, whilst the cylindrical towers containing the output transformers are finished in hard-coated non-glassy anodized 6010 Duralumin. In auditioning, I have played many pieces of music over several weeks, pretty much on a daily basis. I applied the Chesky Records parameters they use for their Ultimate Demonstration Disc for ‘critical listening', focusing especially on resolution, naturalness, and presence. Music files in WAV format are recommended by the vendors after extensive listening tests during development. I played mostly FLAC, some WAV, and even some 320 Kb/s MP3. The sound quality is superb. Given the circuit specification, which on paper is perhaps surprisingly modest, I wasn't sure what to expect from 16-bit 48 kHz. I also wondered if higher-resolution 24-bit and 32-bit files would not be playable with the Opus 5 set. It was not actually an issue, as many commercial music playing software products, such as the JRiver Media Center 21 that I use, provide a function to convert bit resolution from high to low or vice versa. This feature can be set to automatically convert file bit resolution to 16-bit before output so that the higher-bit files would be played at the Opus 5 without difficulty. Another way to enjoy playing higher-bit files is to set the player's output format to 16-bit and 48 kHz resolution. The output of all files is then automatically accepted and played at the Opus 5 DACT regardless of their original bits and sample rates. So, actually, I agree wholeheartedly with the designers, that the playback is clean and relaxed, with immediacy, finesse, and warmth - very musical - and easily accomplished. This has been the best I've heard my music played from my PC. Then again, it is by far the most costly option I've auditioned (regular readers will know that I'm a vehement value-for-money fan). I try to avoid the now commonplace practice of overusing the ultimate incredibly amazing awesome hyperbole when describing my music listening experience. So I can't tell you that this is the best sounding DAC in the world, but I can tell you that in terms of what I see and feel, and especially what I feel when I hear, I like it very much! In their design Arche Audio have gone for simplicity and purity, and in doing so have created an audio system component which renders digital music files with clarity and relaxed finesse. For me, the Opus 5 set is cooly and soundly capable of rendering music, and what the designers have created is some kind of auditory conduit to the musicians playing, and present it with some style. For me the striking appearance of the Opus 5 set is aesthetically successful, presumably an artistic response to the problem of housing the particular transformers applied in the circuit design. With this case design ethos, the utilitarian electrical device becomes a style accessory. I am very grateful to Phillip Holmes at Mockingbird Distribution, the US distributor, for organising the loan of the DACT set and cables, and to John Yoon-Sung Park. at Pyon Sound, Seoul, South Korea, for his patient technical support and operational advice, and his music appreciation.